nice staff and duty manager due room not ready by 3pm,they gave check out before 3pm other day. I felt like I was on an overseas holiday even though I am a local! Super excellent! Nice place for family. The staff was good and service. I have stayed here twice no and have not found anything I didn’t like. The place is amazing and the staff even more so. 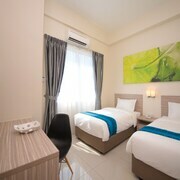 Situated near the beach, this hotel is steps from Cenang Mall and Pantai Cenang Beach. 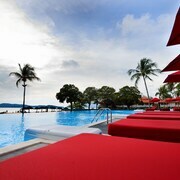 Underwater World and Tengah Beach are also within 2 mi (3 km). Location was very good and has easy access to beach. 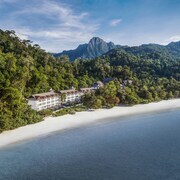 Nestled on the beach, this Redang Island resort is within 1 mi (2 km) of Berjaya Beach and Redang Mosque. Marine Park Centre is 2.9 mi (4.6 km) away.